Sister moved to NYC with her boyfriend, Chris, and near their apartment is this adorable restaurant that has THE BEST tuna melt. It’s amazing. Since I don’t get up to NYC often enough (and because Sister mocks me for wanting to only eat at one restaurant the whole time I’m there), I had to try to recreate their super tasty tuna melt. Combine all ingredients in a large bowl and mix well. Taste and adjust seasoning as needed. 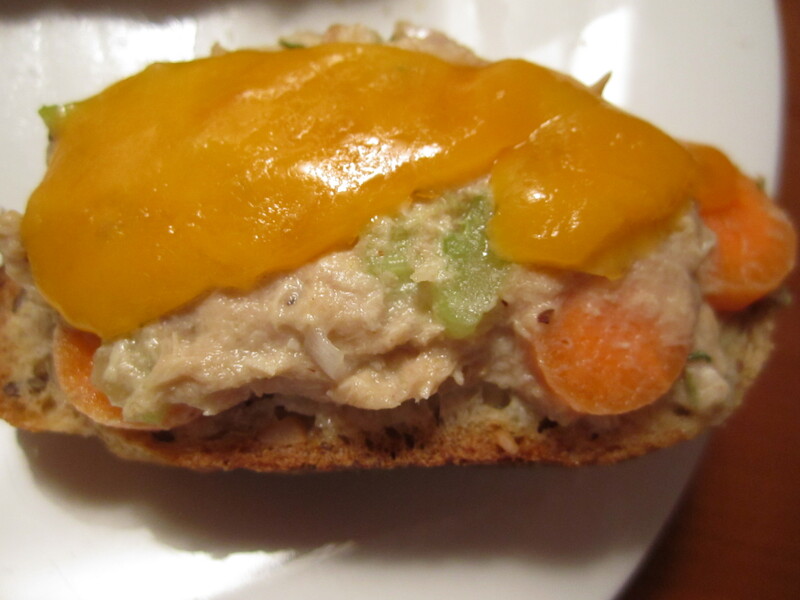 Top your choice of bread with tuna salad and extra sharp cheddar cheese, toast until melted. Devour!